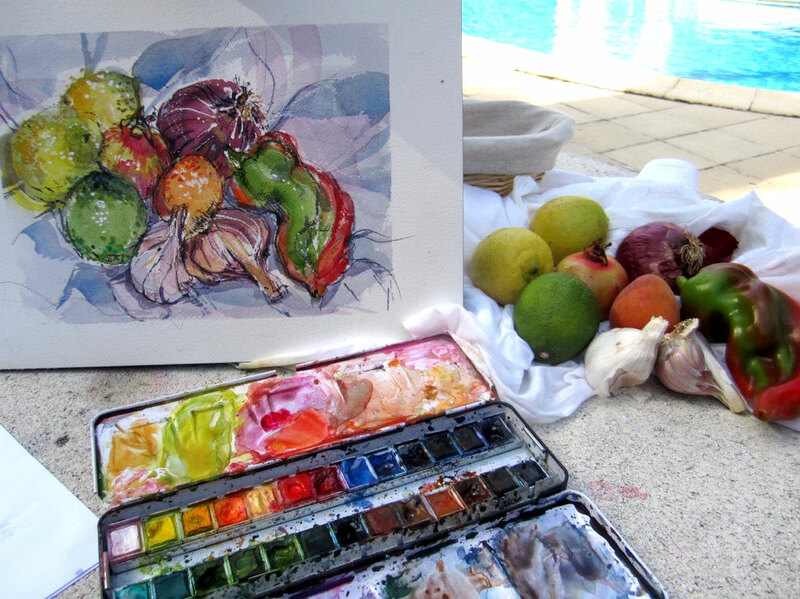 This is an opportunity for adults and children to have specialist tuition in sketching, watercolour or mixed media. Lessons take place at my house in Cheltenham in a relaxed and friendly environment. I have a very flexible approach and am able to identify and improve upon areas which need development. I can help children to prepare a scholarship portfolio by introducing different media and techniques and to prepare them for an open day test. My charges are £25 per hour to include all materials. I also run day workshops in the Gloucestershire area and can travel to within 25 miles of Cheltenham. Costs are £150-£200. I run Art Days with Jo Neil at the very lovely Windrush Gallery near Burford and am regularly invited to run Art Workshops for local Art and WI Groups. This summer I will be running two Art Courses at Marlborough College Summer School. “Fast and Loose Watercolour” (July 9-13) Fully booked. “Bright and Breezy Landscapes” (July 16-20) A few places available.